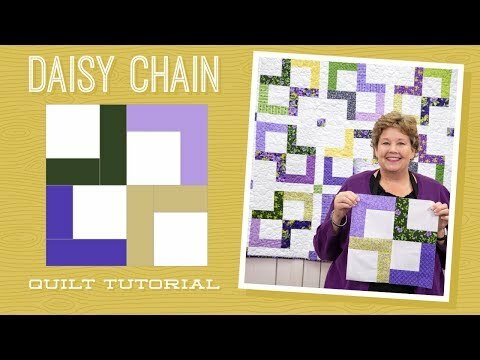 Daisy Chain Pattern by Missouri Star - Missouri Star Quilt Co. - Missouri Star Quilt Co. Bright, colorful strips of fabric dance throughout this adorable quilt like a chain of daisies. It’s the perfect fit for any sweet little nursery. All you need to get started is one roll of printed 2 1/2" strips and your favorite background fabric.